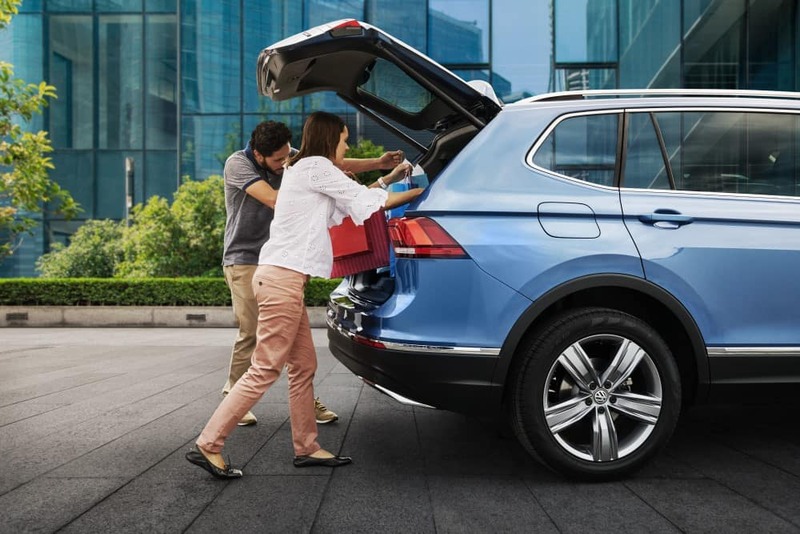 Buying a certified pre-owned SUV like the Volkswagen Tiguan is a great way to get the keys to a roomy SUV that’s both loaded with features and a little more affordable. So, what can a certified pre-owned SUV do for you? Toms River Volkswagen finds out and explores why they’re a solid option for families in Toms River, Brick, and Freehold with this certified pre-owned Volkswagen Tiguan review. Contact us today to schedule a test drive! Under the hood, it’s powered by a 2.0L TSI® 4-cylinder turbocharged engine that gets up to 184 horsepower and 221 lb-ft of torque. This kind of output can help you tow up to 1,500 pounds. It can also deliver a fun drive with an 8-speed automatic transmission with Tiptronic® and Sport Mode. 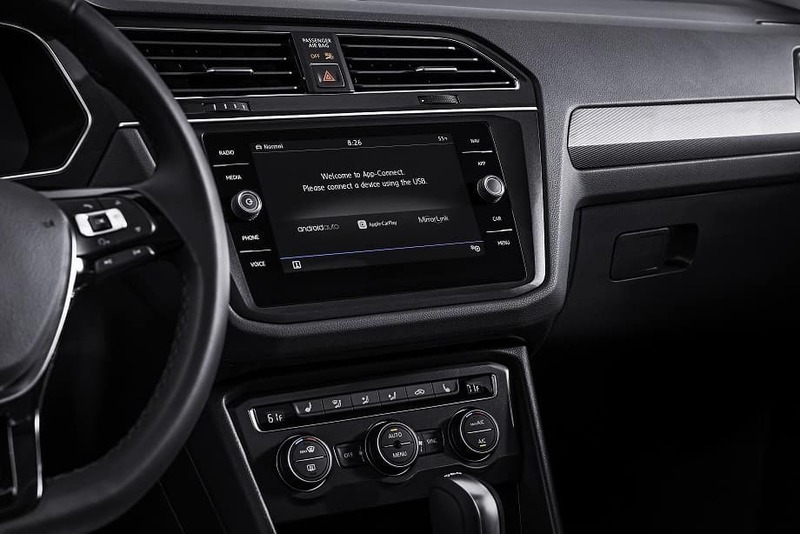 The Tiptronic® feature lets you take control of the transmission without a manual clutch. Together, this sporty engine and versatile transmission can also help you get great fuel economy. The VW Tiguan can get up to an EPA-estimated 22 MPG city and 29 MPG highway[i]. The certified pre-owned Volkswagen Tiguan is available with either two rows of seats or three. With the third row in place, it has room for up to seven people. There’s 123.9 cubic feet of passenger room, so everyone can get comfortable, no matter where you’re sitting. It’s also fully capable of carrying lots of cargo. You can start packing up even when your hands are full with an available Hands-Free Easy Open, along with the Easy Open Liftgate. Once you’ve started packing up, you can use split-folding seats in both the second and third rows to maximize your cargo room. On top of providing you with great entertainment, it can also help you stay safe. When you shift into reverse, your infotainment screen becomes a driver-assistance feature. It automatically switches to a live look at what the Rear-View Camera System sees behind your SUV. Visit Toms River Volkswagen to learn more about this certified pre-owned Volkswagen Tiguan review and take a test drive. Families in Toms River, Brick, and Freehold can count on it for lots of cargo room, technology, and a capable drive. [i] Based on EPA estimates. See www.fueleconomy.gov for details. Your mileage will vary and depends on several factors, including your driving habits and vehicle condition.